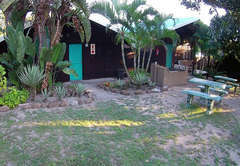 Vis-Agie Resort is a property providing self catering in Sodwana Bay for tourists visiting the Elephant Coast region. 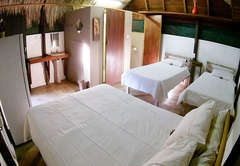 Vis-Agie Resort caters for local and international tourists and offers bed only and self catering accommodation in Sodwana Bay in a selection of cabins. 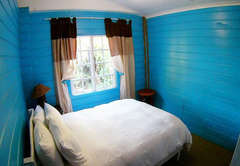 Vis-Agie Resort is situated near many attractions and activities that you are able to visit. 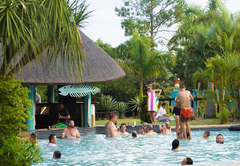 The resort has an a la carte restaurant, braai area and swimming pool. 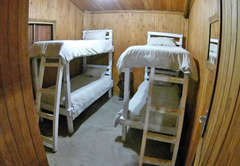 The wooden cabins sleep up to four guests. 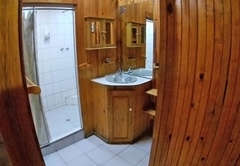 They have an en-suite bathroom with a shower and are equipped with ceiling fans. Cabins are serviced once a day. This is the perfect home away from home for families. 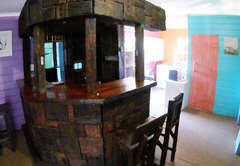 The house has three bedrooms, two bathrooms, a fully equipped kitchen, bar, air-conditioning and braai facilities. 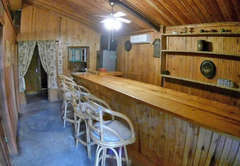 The house has ample parking, a lawn area with deck and braai facilities. 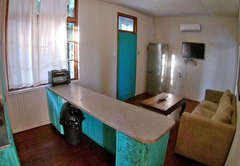 It is equipped with linen, a fridge / freezer, two plate stove, microwave, cutlery and crockery. The house overlooks our swimming pool and is completely private to the rest of the resort. 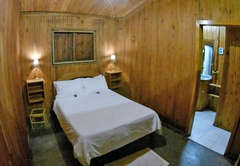 There are two bedrooms and one bathroom (shower, toilet and basin), a kitchen, bar and deck. 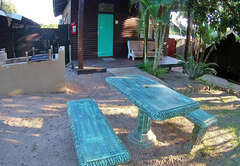 Braai facilities are provided and there is air-conditioning. 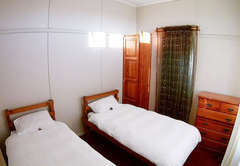 The house is equipped with linen, a fridge / freezer, microwave, cutlery and crockery. 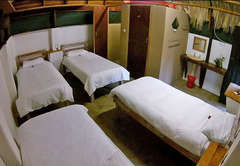 wooden cabin, En-suite shower, sleeping 1- 4 people. Equipped with beds and 220 volt power points, ceiling fans and linen. They are serviced once a day. House is where memories are made. The perfect home away from home for families. 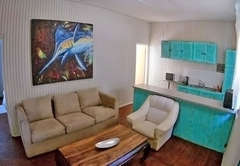 Laid out with 3 bedrooms, 2 bathrooms, fully equipped kitchen, bar, air-con and braai facilities. Enough space for the entire family. 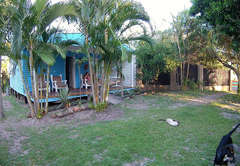 House has a big parking and lawn area with deck and braai facilities and air-con. The house is serviced once a day. 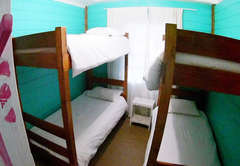 Equipped with: linen, fridge freezer combo, two plate stove/oven microwave and cutlery & crockery. The house overlooks our swimming pool and is completely private to the rest of the resort. 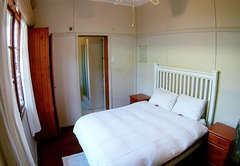 There are 2 bedrooms, 1 bathroom (shower/toilet basin), kitchen, bar, deck, braai,,air-con, linen, fridge freezer combo, microwave, cutlery & crockery. Response timeVis-Agie Resort typically responds to requests in 5-10 minutes.